With something like a list of the best free organic WordPress themes, it stands to reason that you want something to visually emphasize your commitment. Whether you are starting a socially-conscious environmental blog, or if you would like to become a green-friendly ecommerce merchant, there are themes that can reveal your feelings through their aesthetics. Your organic WordPress theme can reveal in no uncertain terms how you feel about certain social/environmental subjects. At the same time, this list of the best free organic WordPress themes also gives you supreme functionality. In other words, you can create a blog or website that looks great, functions flawlessly, and offers visitors a wide variety of relevant, unique content. 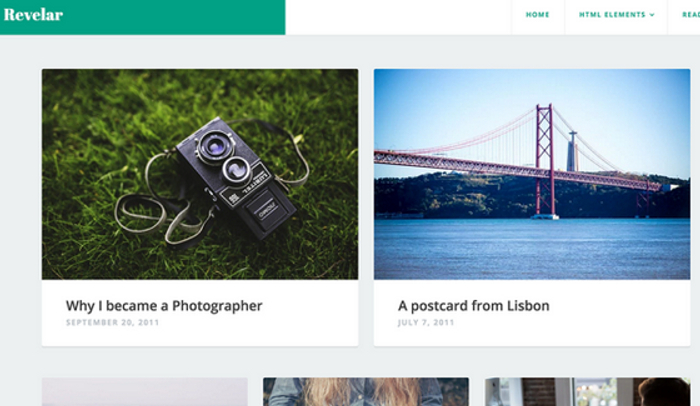 This single-column WP theme is minimalist and very striking. The strong combination of visuals with a clean, white background makes it an ideal possibility for those who want to create an environmental blog. The large feature image support is nice, and you’re definitely going to like that Revelar lets you work with a variety of post formats. We’ve touched on the concept of free organic WordPress themes using their very aesthetic to relate your personal convictions to your visitors. 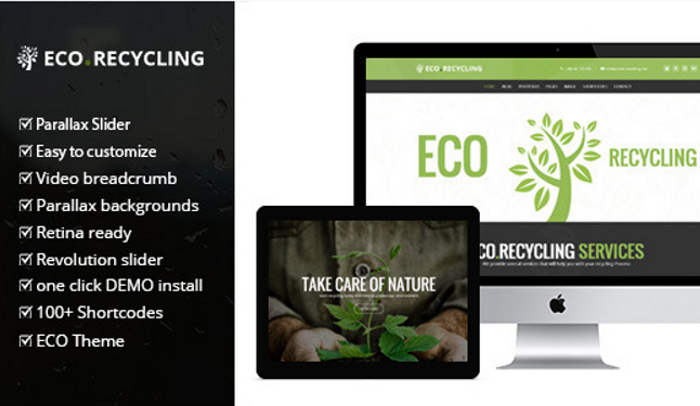 Eco Recycling is a great example of that notion. The smooth, engaging green textures will definitely provide you with a green-centric backdrop for your blog or business. At the same time, Eco Recycling scores big for phenomenal ease of use. 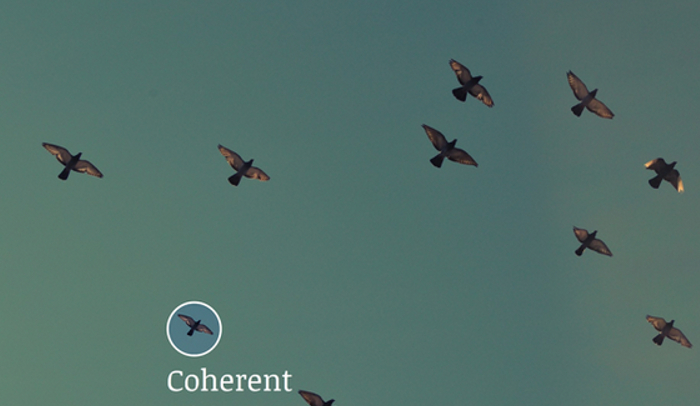 Coherent certainly lives up to its name. Another name for this minimalist theme might be harmony. You could even make the case for unity. However you describe it, you’re going to love that Coherent combines effective, visually-strong backgrounds with dynamite text. Use powerful, compelling images for your background. Combine that with impassioned writing on any environmental subjects that might be of importance to you. Tons of social links are available, as well. Six widget areas is just one thing about Colinear that’s going to impress you. The minimalist concept once again makes an appearance on this list. That’s because the minimalist WordPress themes do a great job of emphasizing subjects such as cleanliness and peace. To be sure, those are ideas worth expressing in your organic WP theme. 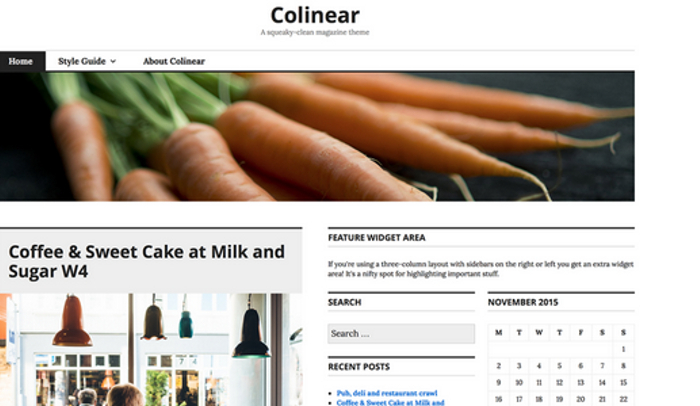 Colinear comes with several layouts and color schemes. Flexibility and versatility are two of the main hallmarks to Boardwalk. This is one of the most unique themes you’re going to come across. At the same time, it offers a unique way to display your content. Even in an era in which it seems like all social event roads lead to Facebook, many newlyweds still utilize Word Press themes for their weddings. In other words, if you are interested in finding the best free wedding WordPress themes, you’re going to have a host of possibilities to choose from. From simple and elegant, to wild and funky, there are so many great WordPress themes for weddings available to you. Best of all, many of these free wedding WordPress themes are extremely easy to use. You don’t have to be a web design expert to build something that will allow you to share news, photos, videos, or even text posts about your upcoming or recent wedding. 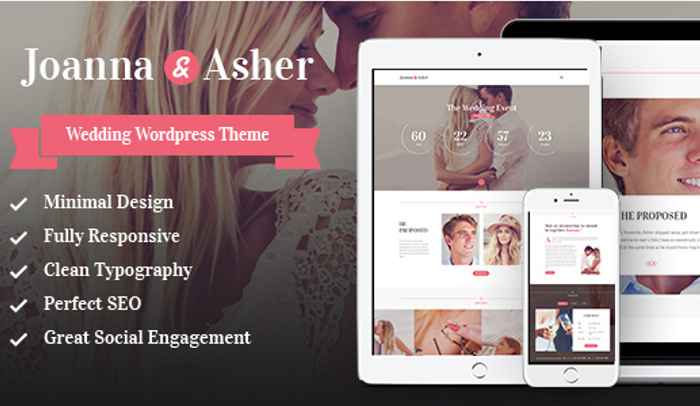 This is one of the most popular free wedding WordPress themes to be found anywhere. 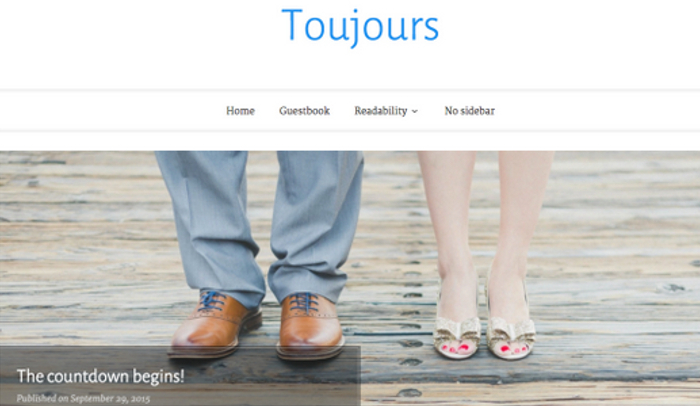 In fact, Toujours is actually an updated version of an older, also popular WP theme known as Forever. Toujours is a winner for a number of reasons. Essentially, it kept everything people loved about Forever, and it added a wide variety of additional, exciting features. Slideshows, large featured images, and an interesting way to display your most recent posts are just a few of the impressive features. You can even utilize a guestbook template that can easily and nicely gather signatures and more from well-wishers. You can also add passwords and other protective measures to ensure that only your wedding guests can see what you’re posting. Everything about Button is designed to be cute as a, well, you know. However, while Button does offer one of the cutest WP themes to be found anywhere, nothing in the way of functionality is being sacrificed. This theme remains a significant winner with a lot of WP users who want some pretty and clean to keep everyone up to date on the particulars of their wedding announcements and other posts. The detailed accents and featured images are just two of the elements to Button that you’re going to love. The soft color palette is also nice, emphasizing a tone that makes this theme so ideal for weddings and the like. There is a slight vintage vibe to this theme, as well, so keep that in mind. When it comes to shopping around for WP themes, one of the words you’re going to want to pay attention to is “clean.” We’ve already used it to describe a couple of the WP wedding theme ideas listed here, and it’s worth mentioning again with Unite. Furthermore, Unite scores big in the responsiveness department. 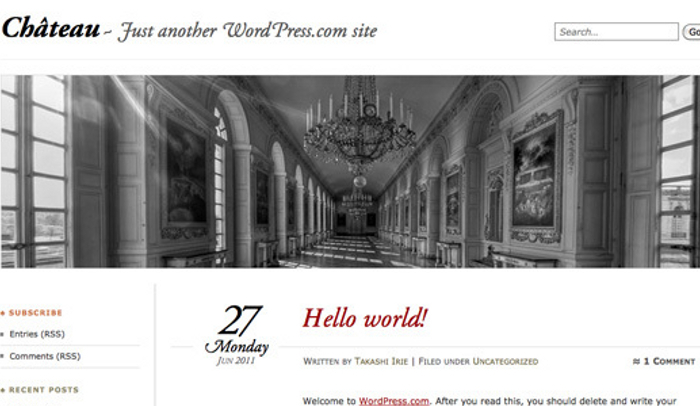 This is a fantastically responsive theme. Even better, it’s incredibly easy to use or visit. The unlimited color options is just one of the awesome features for Unite. You can even mess around with the links and typography. You are in control of just about everything to do with this theme. Weddings should have at least some energy dedicated to being as personal and creative as possible. If you’re looking for a WP wedding them that can function as an extension of that thought, then you’ll want to check out Unite for certain. Whether you’re a couple preparing to tie the knot, a wedding photographer who wants to make the best mark possible, or an industry professional who wants a great place to store their portfolio, Blissful Blog could be exactly what you’ve been looking for. This WP wedding theme can work with all of those possibilities, in addition to several others. It is an enormously straightforward, elegant theme. It also comes with the benefit of being really easy to use. The full-width page template is one of the first things you’ll want to take note of with this blog. The sidebar template can be used across single pages, archives, or search views. Three footer widgets can be found and used across any page. The customer header and custom menu components will serve to make a good thing even greater. If you want something you can choose and set up in a matter of moments, you may just want to learn more about The Wedding Event. Of all the free WordPress wedding themes you can choose from, this might just be the simplest one. However, do not mistake “simple” for lacking. While you will want to make sure it gives you all of the options you need to build your ideal page, you will find that The Wedding Event nicely delivers on almost everything you need. At the same time, it’s worth noting that if you are a photographer or other professional, you may want to look elsewhere for your WP wedding theme. This one in particularly is clearly designed to appeal to couples above any other group. Tons of easy-to-use built-in plugins are only the beginning. You’re also going to love how this theme gives you everything needed to centralize your special day. As you can imagine, if you are looking for the best free corporate WordPress themes, you’re not going to be lacking in options. Regardless of the size of your business, and regardless of the particulars of your business, there are a number of corporate WordPress themes out there to choose from. The challenge on your end is to find something that will suit your needs. 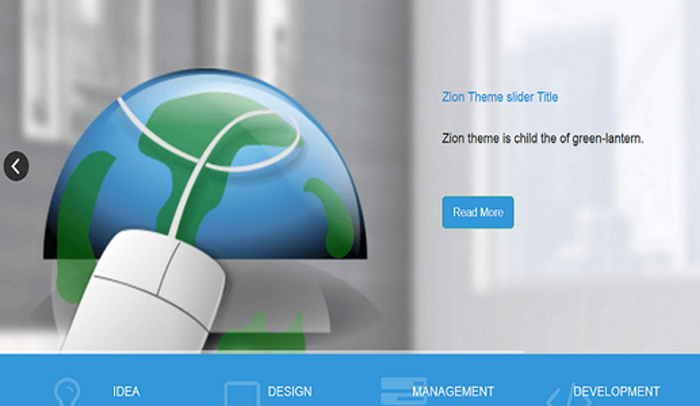 There are free corporate WordPress themes. There are also WordPress corporate themes that charge a nominal fee for use. If you are a young business that is eager to save as much as humanly possible, it stands to reason that you would want to focus on the free ones. To that end, you’re going to be pleased with the options that are available to you. The boldness and vibrancy of Sela is going to grab your attention right from the start. Furthermore, this particular WP business theme is one of the cleanest looking themes you are ever going to come across. One major feature to Sela is the fact that its design leaves a lot of room for large, eye-catching visuals. If you think your business can take advantage of such a thing, then you’ll definitely want to consider the numerous additional features and benefits of Sela. 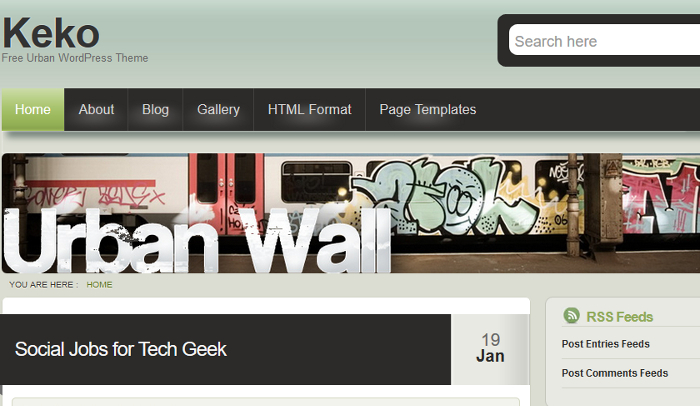 The responsiveness of this theme is extremely impressive, to say the least. At the same time, Sela also comes with the bonus of being able to work with any screen size. In this era of people using smartphones, tablets, laptops, and PCs to access the internet, having a theme that is ready to work for anyone can be extremely handy. 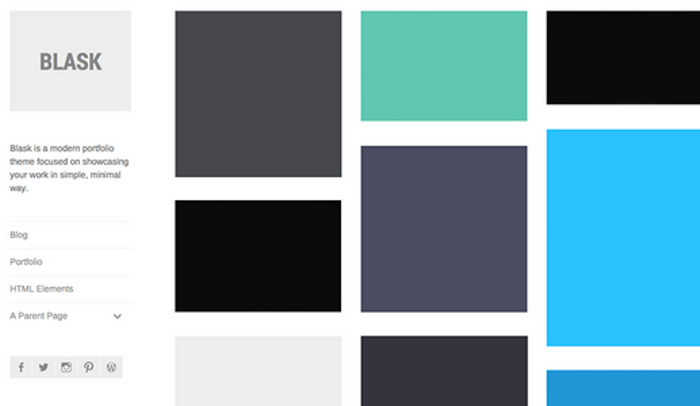 Create your own custom background, custom colors, custom headers, and much more. The first update to WordPress’ default theme, everything about Twenty Ten is designed to be versatile, clean, and easy to use in every possible way. If you are just beginning to get the ball rolling on your business, and you need something that’s going to make it easy to utilize WordPress to your professional interests, Twenty Ten could prove to be exactly what you’ve been looking for. Drop-down menus is just one example of how Twenty Ten endeavors to be easy for visitor and admin alike. 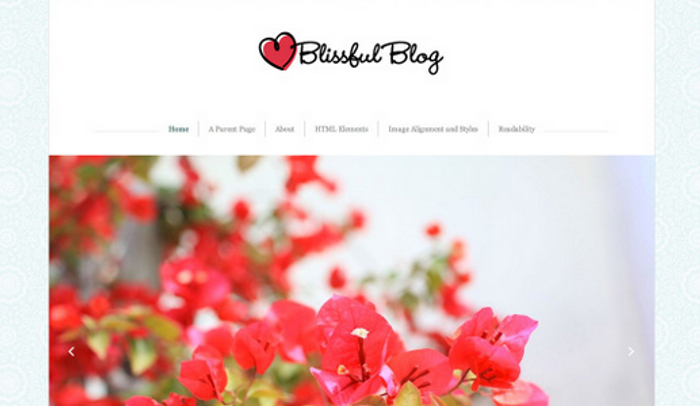 All of your pages will be neatly collected into a menu that can be found right at the header of your blog. The drop-down menu can then be utilized to feature several levels of nestled subpages. 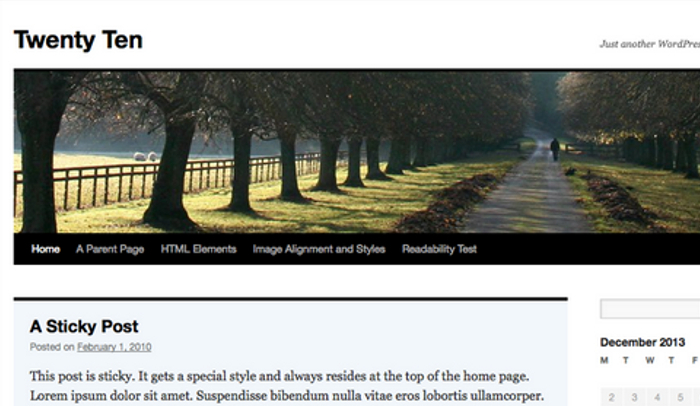 Two side-bar widget areas and four areas for footer widgets is another nice feature. What this means is that you can load up Twenty Ten with tons and tons of widgets, and you won’t have to worry about anything going wrong. Some WP corporate themes work particularly well with specific businesses. A good example of that notion would be Pique. If you have a business that consists of something like a bakery, a café, a hair salon, or some kind of small boutique, this might just be the theme you’ve been searching for. There is an alluring, noir quality to the text and background. It certainly combines sophistication with unique artistry in the best way possible. This one-page scrolling theme can prove to be particularly useful for small, independent businesses. It can provide you with a stunning supplement to your brick-and-mortar business. Everything about this theme is designed to emphasize ease-of-use. 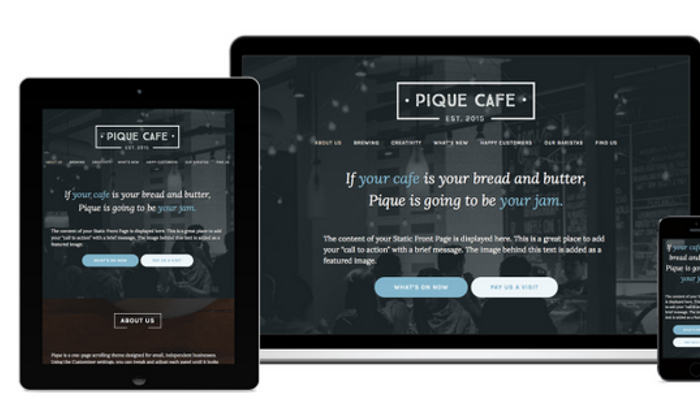 From choosing your text, to including your logo, to taking advantage of social media buttons and secondary links, Pique makes it easy to have your page up and running in hardly any time at all. 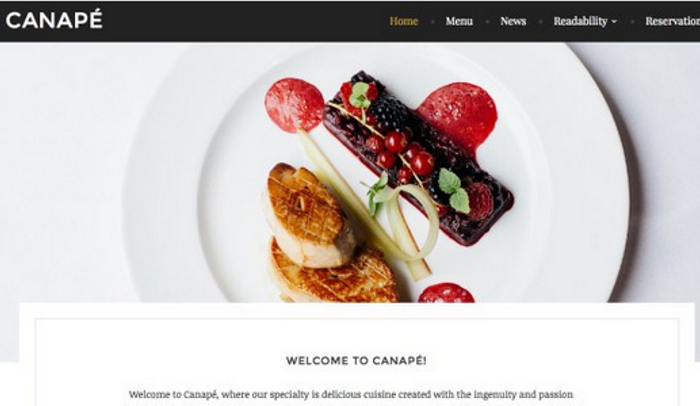 If you own a restaurant or food-related business, Canape could be the perfect corporate WP theme for you. It would seem as though that whoever designed this did so with those sorts of businesses in mind. The bold, refined visual punch of Canape makes it an idea fit for themes that need to offer lots of open space for images and similar items. 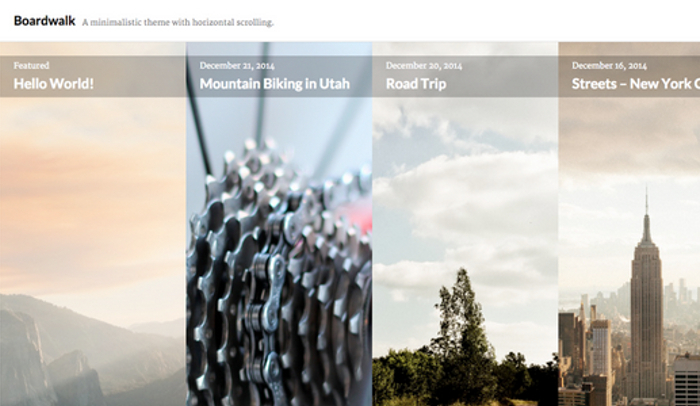 The three widget areas are another nice component to this blog. Furthermore, you’re bound to be impressed with the way the Menu Template does a great job of putting everything right out in the open. You will be able to showcase your food/drink menu with ease. You can use the Open Table widget to make it easy for your visitors to book a dinner or lunch. Everything about this theme is easy to use. This translates to something that will be easy for others to use across any device. 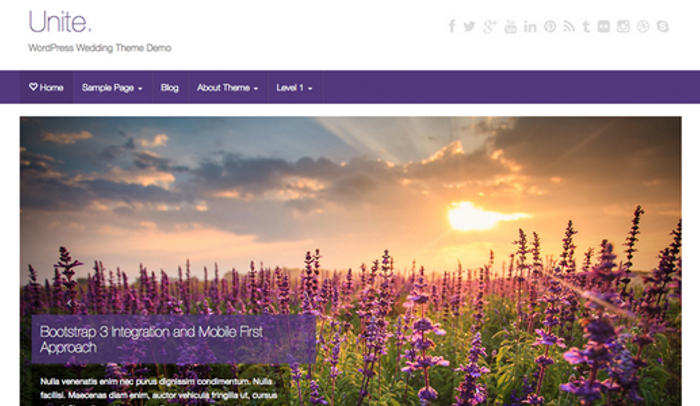 Minimalist is a good way to go with most corporate WP themes. Something that is as free of clutter as possible is a good way to maintain visitor interest. At the same time, minimalist also gives you the ability to make sure your WP blog/site is focusing on the right things. The Showcase Page template and three custom menus are two great features. 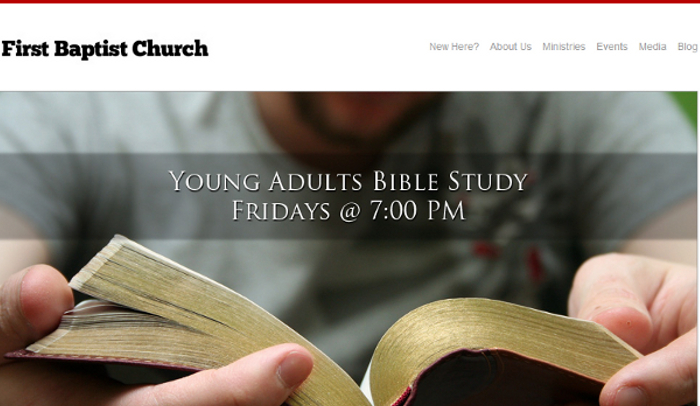 Ultimately, you can turn just about any WordPress theme into a religious blog or website. Furthermore, you can do this with just about any religious you can imagine. However, it is also true that some WordPress themes are more suited to religious blogs/websites than others. Furthermore, several WordPress themes have been designed specifically with religious websites/blogs in mind. When it comes to choosing amongst the best free religious WordPress themes, it might perhaps be best to focus on the criteria mentioned above. 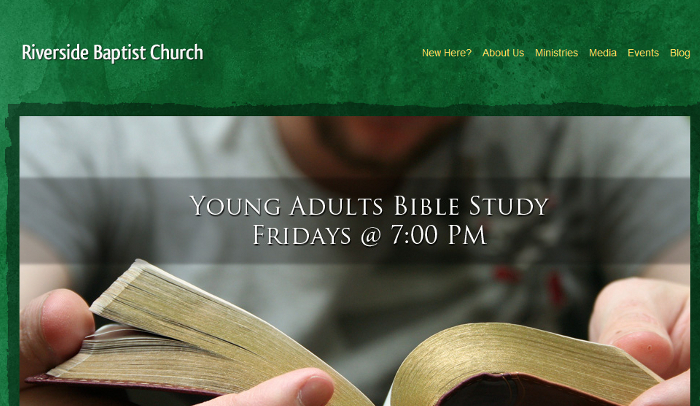 From the custom widgets, to the large/widgetized footer area, there is a fantastic degree of functionality to Church. However, this particular theme was also very obviously designed for use by churches and non-profit organizations. 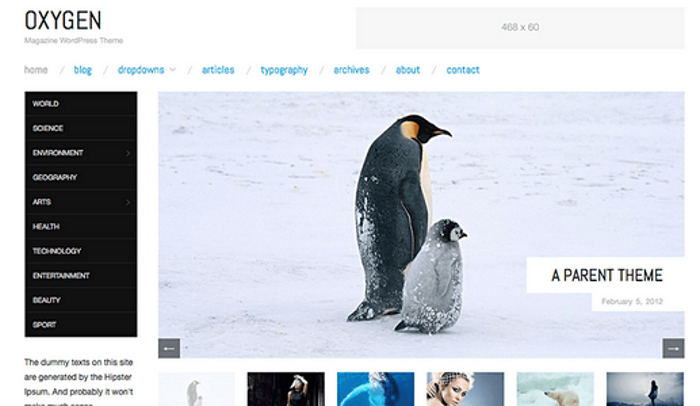 The way your featured image is going to appear is good proof of what this theme can help you to achieve. Just from the name alone, it’s easy to assume that this theme was made for those who need online hubs for their church, religion, or similar entity. You would be correct. 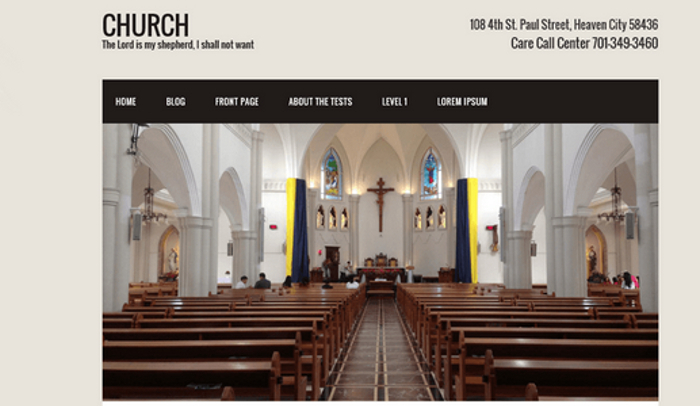 This WordPress religious theme works beautifully with HTML 5. It is also responsive-ready, if need be. Four color schemes and a profoundly adaptive layout complete the appealing package. The Google Maps directions widget is also nice. Three main customized post types is just one of the nice elements to Malaka. The customized homepage image sliding carousel can be edited with ease. It also gives you the ability to combine text with media in very striking forms, with the emphasis on your posts going towards the images. 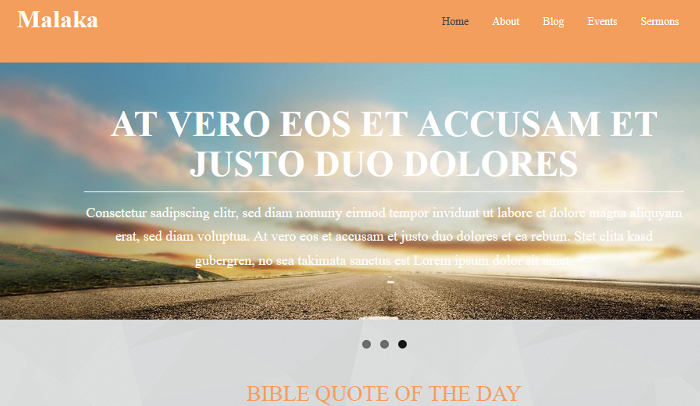 Based upon the Bootstrap, Malaka is another religious WordPress theme that works. Simple Church lives up to its name. You’re going to note from the start that this is one of those free WordPress blogs that leans heavily on the minimalist side of things. In other words, if your website/blog is going to focus strongly on visuals, which many religious blogs and sites like to be able to do, this could be the theme for you. At the same time, the theme gives you plenty of room to combine your visuals with great text posts. Green Grunge Church may not be ideal for those who want understated elegance in their blog or website. However, if you’re looking for a religious WordPress theme that pushes for a bold, vibrant backdrop, this could be the theme for you. The feature-rich template is certainly impressive. You can also make a media page. There are a lot of examples that could make up a list of the best free 2 column WordPress themes currently available. This is because the 2 column theme as a general rule represents one of the most inclusive theme concepts out there. To put it another way, within the 2 column WP design, you’re going to find a ton of possibilities. You can easily find something that will match up the niche market and particulars of your brand. Designers like 2 column WordPress themes because the best examples of these themes are capable of meeting multiple demands simultaneously. 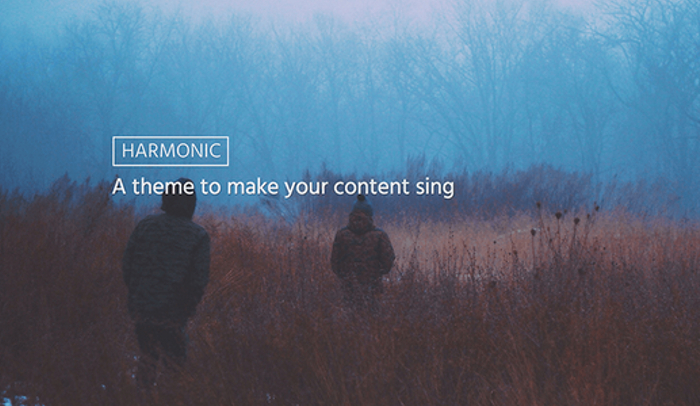 When it comes to the most flexible WordPress themes, you have to include Harmonic somewhere on that list. You can find this theme in one or two column layouts. For those who are interested in the top 2 column WordPress themes, you’re going to find that Harmonic can suit your needs nicely. The scrolling front page is nice, and you’ll definitely like how Harmonic looks fantastic on every device under the sun. With light and dark color schemes, and what looks like a significant amount of attention paid to the typography, it’s certainly fair to call Chateau bold. Multiple archive styles and striking formats will give you a lot to work with, in terms of creating your WP blog or website. However, everything is extremely straightforward. This holds true for the management side of things, but it’s also something your visitors will note. If you are new to the world of WordPress, Keko might be ideal for you. 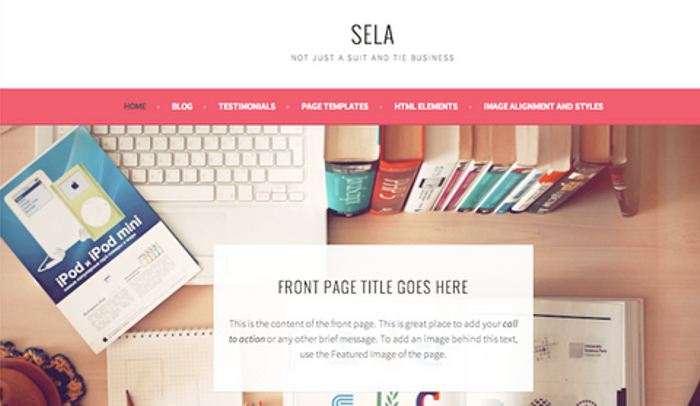 This is a great example of a simple, clean, straightforward 2 column WordPress theme. It isn’t the flashiest show in town, and it’s certainly not the most unique, but it is nicely functional. You can learn about banners, Twitter integration, how to use widgets, and more. Don’t mistake minimalist for basic. 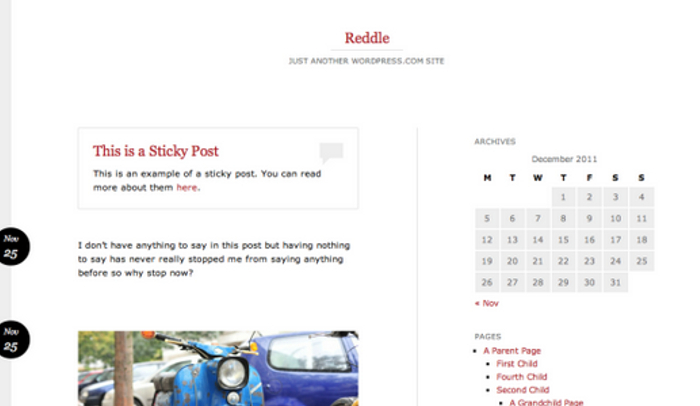 While Reddle most certainly embraces the minimalist 2 columns theme mentality, it offers extraordinary flexibility. Reddle gives you tons of options for shaping your WordPress blog or website into whatever you want it to be. The fluid layout combines with the ability to post in a variety of useful formats. If you’re looking for an attractive portfolio theme, you’re going to want to take a long look at what Flask brings to the table. The clean layout does a fantastic job of putting the attention of the visitor on whatever you want them to see. Perfect for image-heavy sites.